The RasPi-GVS card allows your Raspberry Pi to communicate with 5V devices by performing voltage translation from the 3.3V of the Raspberry Pi to the 5V commonly found on most GVS parts. The RasPi-GVS card provides separate Ground, Voltage and Signal (GVS) connections to each of your 5V GVS connection devices so you don't have to worry about power and ground routing of the few Raspberry Pi 5V power signals to many other parts. We also put fuse protection in to further protect your Raspberry Pi. The RasPi-GVS card is modeled on the Arduino Sensor Shields, also known as GVS shields. Arduino Sensor Shields bring out the pins of the Arduino to GVS (set of Ground, Voltage and Signal) pins. Unlike many solutions which can only be used in breadboard/prototyping, the RasPi-GVS card can also be used for your deployed solution. 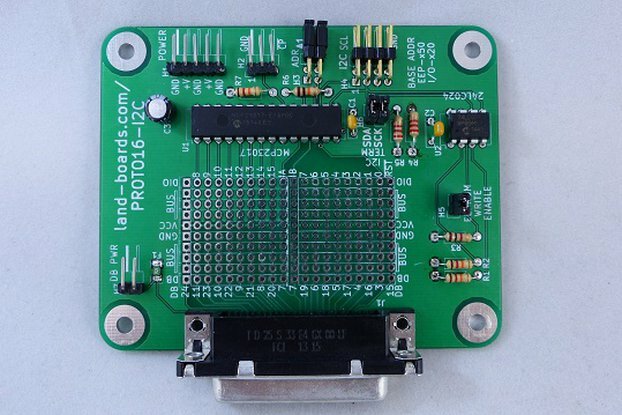 If you have a Raspberry Pi Model B Plus we also have a Sensor Connection Card for you. Like a lot of folks we got excited when the Raspberry Pi was first announced. We couldn't wait to get our hands on our first board. When our chance came to get a Pi we also bought a prototyping board so we could connect up our own devices to the Pi. We anxiously awaited the arrival of our card. It felt like our card would never arrive. While we were waiting, we dug deeper and found out that Raspberry Pi is limited to 3.3V I/O and we realized that the GVS devices we already have for our Arduinos are mostly 5V parts that would not work with our Raspberry Pi. In fact, they would most likely damage our Raspberry Pi. Sure we could adapt one of the 3.3V to 5V converters out there but that sounded like a lot of work. What we really wanted was a way to allow our 5V parts to connect to the Raspberry Pi without a lot of hand wiring but we couldn't find a card out there that does the 3.3V to 5V voltage conversion that our 5V parts need. So we designed a card to meet our needs, the RasPi-GVS Card. Assembled boards have all the parts installed and are tested before shipping. Bare boards were electrically tested by the manufacturer but you need to source the parts and install the parts yourself. 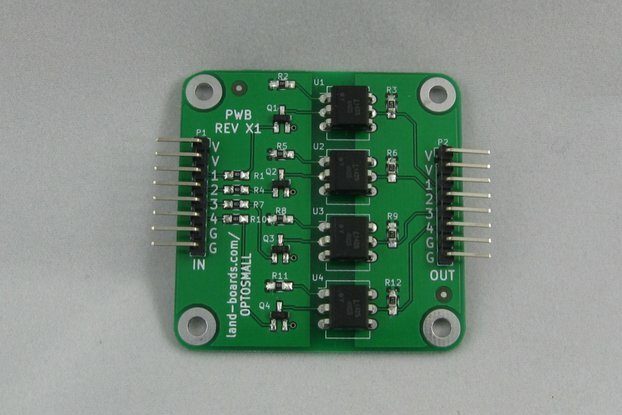 The bare board option might work well for people who want to wire up to the GVS pins but beware the Surface Mount parts are tiny and if you don't have experience working with them you might have trouble. We set this product to accept backorders. The Kickstarter didn't fund so we expect some folks from the Kickstarter to want a card. We went out on risk and ordered 30 PWBs on 9-1 so we feel comfortable taking backorders and expect to be able to fulfill them by the end of September 2014 (the original timeframe from the Kickstarter). The way Tindie works we don't get paid when orders are placed. We only get paid when we ship so we have a strong incentive to ship boards as soon as we can. Tindie allows up to 90 days before they cancel the order but we anticipate that we will ship in September.